When you drop your Diet Coke can or yesterday's newspaper in the recycling bin, where does it go? Probably halfway around the world, to people and places that clean up what you don't want and turn it into something you can't wait to buy. 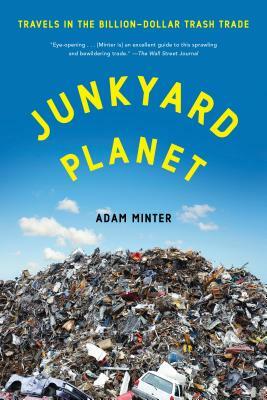 In Junkyard Planet, Adam Minter--veteran journalist and son of an American junkyard owner--travels deep into a vast, often hidden, five-hundred-billion-dollar industry that's transforming our economy and environment. With unmatched access to and insight on the waste industry, and the explanatory gifts and an eye for detail worthy of a John McPhee or a William Langewiesche, Minter traces the export of America's junk and the massive profits that China and other rising nations earn from it. What emerges is an engaging, colorful, and sometimes troubling tale of how the way we consume and discard stuff fuels a world that recognizes value where Americans don't. Junkyard Planet reveals that Americans might need to learn a smarter way to take out the trash.